For 25 years Helene Brenner (www.helenebrenner.com) has been a Focusing-oriented psychologist in private practice, offering supervision and individual therapy and phone coaching. 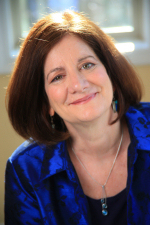 Known for her warm and compassionate manner and astute, intuitive way of getting to the core of client’s and supervisee’s issues, Helene is also a Focusing coordinator for the Washington, D.C. area and co-directs the Greater Washington Center for Focusing and Focusing-Oriented Therapy (www.washingtonfocusing.com), which offers two-year certification programs in FOT. She's also on the faculty of Focusing Resources, teaching telecourses for focusers and therapists. Helene is the author of I Know I’m in There Somewhere: A Woman’s Guide to Finding Her Inner Voice and Living a Life of Authenticity, co-authored by Larry Letich and published by Penguin (USA) in 2003, and has led Focusing and “Inner Voice” workshops in venues including Omega Institute and Kripalu Center. She is the co-chair of the 2016 International FOT Conference. Please share with us your ideas and experience on this topic through the Focusing Institute Facebook page, the Proactive Change Linked In page, the Proactive Change Facebook page, or the contact form.